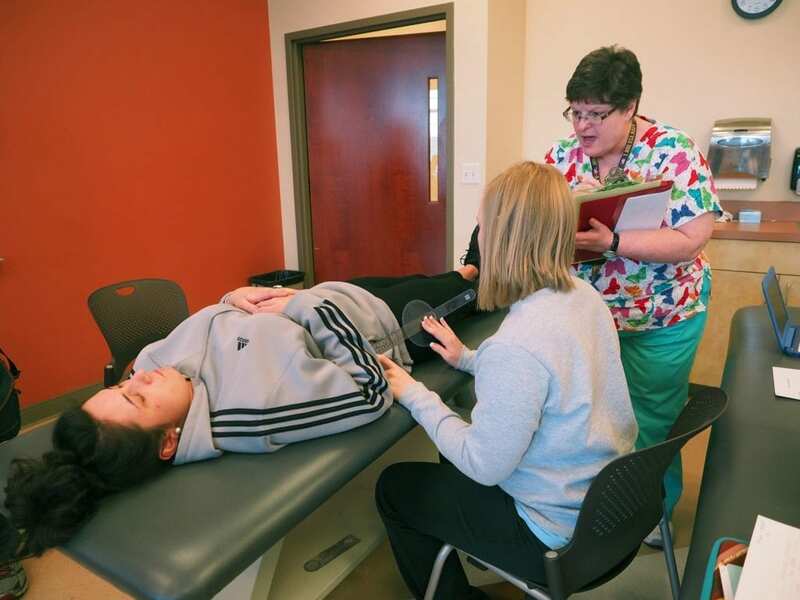 Students in the Associate of Science in Physical Therapist Assistant program will be ready to take on entry-level positions in the growing and evolving field of physical therapy in about two years. Through both classroom and in-the-field clinical training, you’ll develop the skills you need to assist physical therapists in delivering treatment plans that help patients from athletes to military veterans regain function, strength, and control. This course of study covers all aspects of physical therapy, including sports medicine, pediatrics, acute care, outpatient orthopedics, rehabilitation, extended care, and assisted living. The educational and practical instruction you receive while earning your degree will prepare you to enter a broad range of medical environments where you can make a direct positive impact on your patients’ quality of life. Demand for physical therapy assistants is high, which gives you the opportunity to specialize in a field that aligns with your interests and professional goals. What can I do with an Associate of Science in Physical Therapist Assistant? In addition to strong mathematical and analytical skills, a commitment to delivering excellent patient care is vital to success both in this program and in your career. You must be able to maintain professionalism with patients, families, and healthcare providers. Working independently and as part of a team are both essential, as are critical thinking skills and a strong work ethic. Through our strong relationships in local healthcare environments, South College provides students with robust, hands-on clinical training, helping you develop real-world experience. Classroom training supports the clinical aspect of the program with experienced instructors who can provide students with individual attention, and clinical rotations provide a mentor-driven learning experience. Tutors and practice labs are also available to help you hone your skills. The Physical Therapist Assistant Program at the South College Knoxville and extended to the Nashville Learning Site is accredited by the Commission on Accreditation in Physical Therapy Education (CAPTE), 1111 North Fairfax Street, Alexandria, Virginia 22314; telephone: 703-706-3245; email: accreditation@apta.org; website: http://www.capteonline.org. The last review was conducted in 2013 with reaccreditation granted through 2023. If needing to contact the program/institution directly, please call (865) 251-1839 or email knash@south.edu.